Prepare the brine: In a large soup pot, bring 8 cups water to a boil. Add the kosher salt, peppercorns and garlic; remove from heat. Let cool 30 minutes, then transfer to a large pot or ice chest lined with a large garbage bag. Add another 8 cups water, then add the wings and twist the bag closed. Refrigerate for 4 hours. Preheat the broiler. 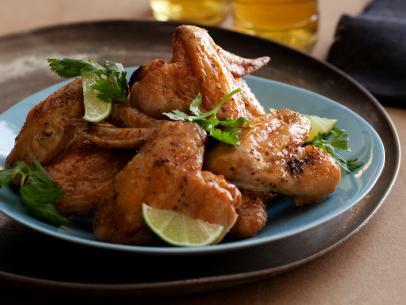 Remove the wings from the bag and place in a single layer on a lightly oiled foil-lined pan. Broil for 8 minutes, then turn and cook for an additional 5 to 8 minutes, or until crisp and golden. Meanwhile, combine all the ingredients for the salsa, except the olive oil, in a food processor, using salt to taste. Slowly add the oil and puree until smooth. 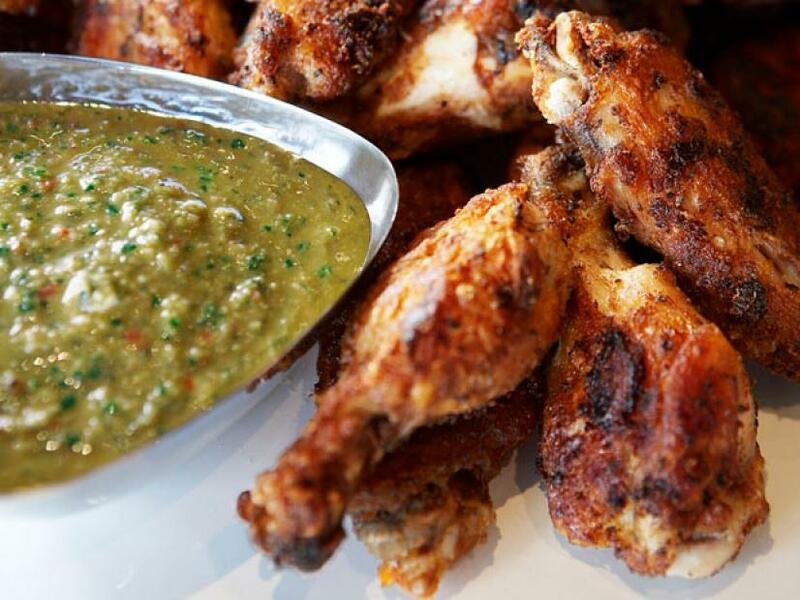 Serve the wings with the salsa.